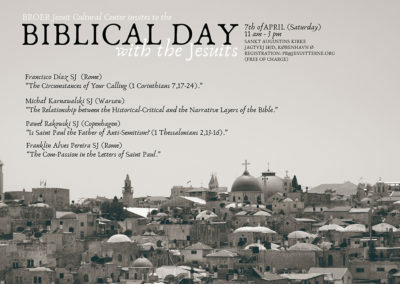 We are very happy to invite you to the first “Biblical Day” prepared by the Jesuit Cultural Center BROER. 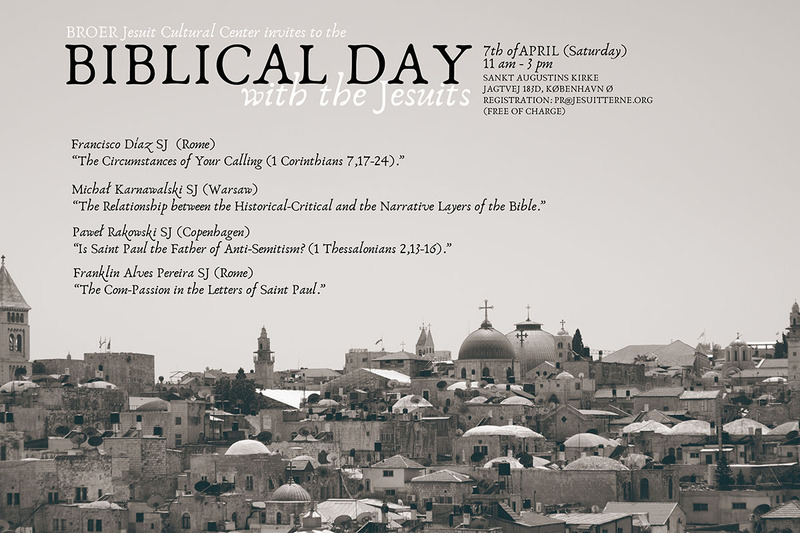 Four Jesuits currently living in three capitals (Rome, Warsaw and Copenhagen) will present four biblical topics. Francisco Díaz SJ comes from Guatemala and studies the biblical theology at the Pontifical Gregorian University in Rome. Michał Karnawalski SJ comes from Poland, graduated at the Pontifical Biblical Institute in Rome, currently on PhD at the Cardinal Stefan Wyszynski University in Warsaw. Paweł Rakowski SJ comes from Poland, graduated in the biblical theology at the Pontifical Gregorian University in Rome. Franklin Alves Pereira SJ comes from Brazil, graduated in the biblical theology at the Pontifical Gregorian University in Rome, currently on PhD at the same university. Every lecturer will present his topic in a 30 minutes speech followed by discussion and questions from the listeners.